Who said a Latin degree was useless? 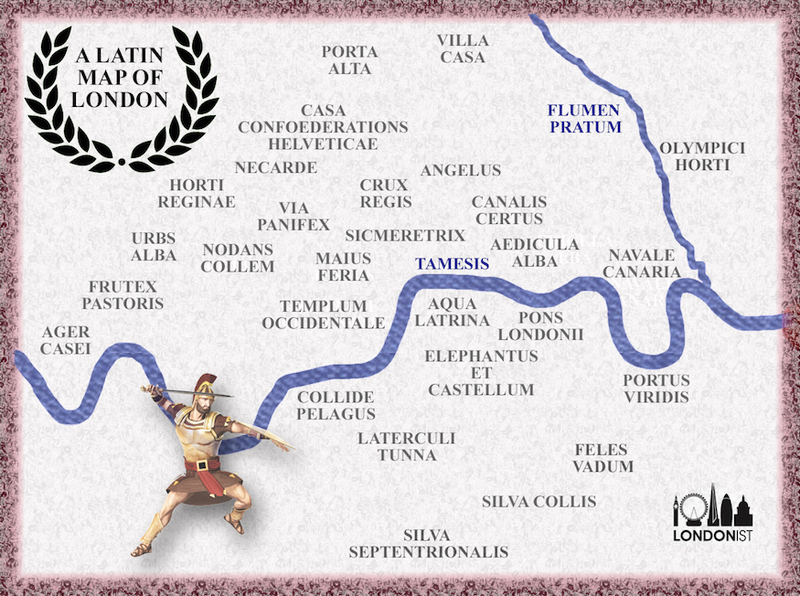 We've reimagined London's place names as they would be in Latin. Many of these locations did not exist in Roman times, so the Latin names are modern day translations — some more whimsical than others. Fun fact: the word 'map' comes from medieval Latin mappa mundi, which translates as 'sheet or napkin of the world'. How many of the places can you decipher? M@ hoc photoshoppit, gratias sibi ago.